Whenever friends post an image of the new Pride flag — y’know, one of the several rainbow flags that have added extra stripes to denote the existence of LGBT racism and transphobia in our community — there are always some people who say the new flags are ugly and divisive, that the rainbow flag already represents everyone or that if we’re just going to keep adding colors until everyone’s represented, we should just create a entirely new flag. But their words are often heard very differently by queer people of color, like me. Granted, I don’t think the critics are aware of how others interpret their comments, and I also think it’s unfair to label any critic of the new Pride flag as a racist or transphobe. But let’s take a second to look at the most common complaints and how they’re heard by queer people of color. As such, there’s a feeling that the flag doesn’t embrace everybody — or if it does, our community certainly doesn’t. Remember, these new Pride flags came about because gay bars in Philadelphia were found discriminating against queer people of color. There remain disproportionately high levels of violence against trans women of color, homelessness among young queer people of color and HIV among gay and bi men of color — and it’s rare that I ever see local gay bars or businesses doing things to address these issues. So while some people say that if the old flag “ain’t broke, don’t fix it,” there’s a feeling among many queer people of color that our community is broken and does need fixing. When people say that we’re all minorities and addressing these issues on the Pride flag creates a divisive symbol, it feels a bit similar to those who criticize “Black Lives Matter” for just focusing on the struggle of the African-American community. Please don’t “All Lives Matter” this. We’re trying to focus on some very specific problems in our community, problems that are already dividing us, namely LGBT racism and transphobia. A friend of mine wants the new Pride flag design to incorporate colors for the genderqueer, bisexual and asexual communities. I agree that bi people need more representation, but, at the risk of revealing my own bias, I’d say genderqueer people fall under the trans umbrella and, while the ace community faces erasure and social stigmatization, they’re not as oppressed or hated as trans people or people of color. But it raises the question of whether we should just keep adding colors to the Pride flag until we have a new flag that represents everyone and, thus, no one at all. It’s both a fallacy and a mischaracterization of what the new Pride flag is trying to do. It’s not trying to “represent everyone.” It’s trying to highlight our community’s marginalization of two very specific groups. Second, this suggestion to add colors highlights the fact that a lot of people in the LGBTQ community do feel marginalized by contemporary gay culture. Perhaps we do need a new flag for all of us. Which brings us to the last, most common comment. Some people feel the Pride flag is supposed to be symbolic rather than literal and that these new stripes go against queer people’s legendary sense of style and innovation. Everyone’s a critic, eh? That’s understandable: There are probably a million possible ways to design a new Pride flag, and to those who hate the new designs, please suggest new ones — there’s nothing our community loves more than discussing art and politics. 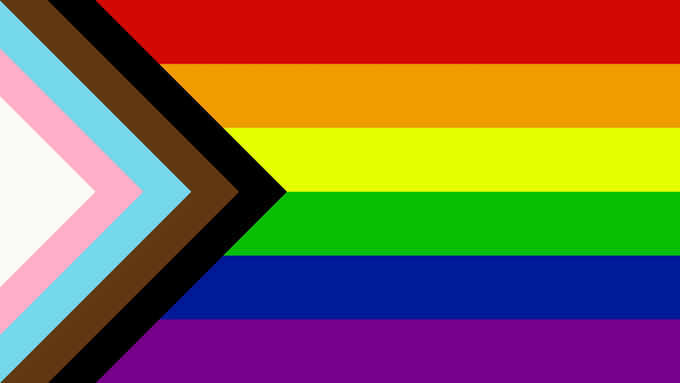 Instead of messing with the old Pride flag, one friend suggested creating an entirely new flag that displays a color wheel incorporating black, brown and pretty much every hue in-between. It’s a fine suggestion, but most people would have no idea what the new flag means, and it’d take decades before it became as recognizable as the old icon. 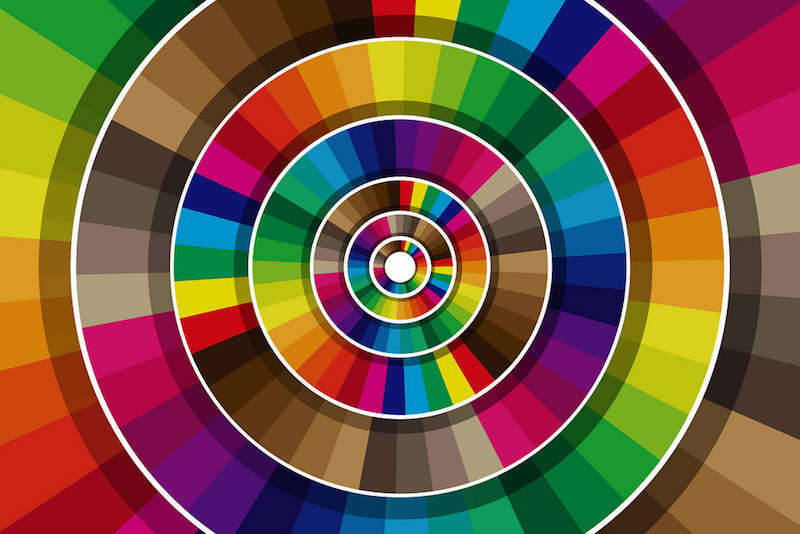 Could this be a new Pride flag design that’s truly all-inclusive? Times change, emblems change. Let them change. It’s not like the old flag will be outlawed. It will remain as a standard — just as old films do after the get remade for modern audiences. (No one is forbidden from watching or enjoying the 1962 film The Manchurian Candidate just because it was remade in 2004.) If anything, the old Pride flag will be around for a long time simply because a much larger quantity of them exist. Don’t resist the new Pride flag. Assist it. The truth is that racism and transphobia aren’t just about slurs and hate crimes — they’re about the consideration our communities give to marginalized people. You may not be burning crosses or beating up trans women, but what are you actively doing to help dismantle racism and transphobia in your community? The answer, most likely, is very little. This doesn’t mean you have to become a full-time activist but it’d be helpful to start questioning why you don’t see very many people of color or trans people in your community’s gay businesses. Support organizations or businesses owned by trans people or people of color. 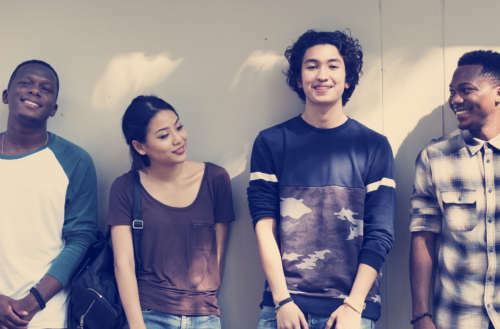 Learn what your police department is doing to stop racism and transphobia in its ranks. The energy we spend debating the new Pride flag’s design can be better spent figuring out the root causes of inequality in our community and making it a more welcoming and equitable place for all, no matter what colors fly on your flag. What do you think of criticisms about the new Pride flag? What should we be doing to dismantle LGBT racism and transphobia? Sound off in the comments.